Russia’s Constitutional Court has labelled as illegal the practice of selling evidence that is too bulky or costly for investigators to store. The judges backed a businessman who had his helicopter seized and sold out with no compensation. 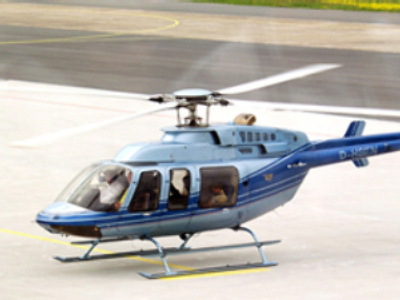 Vladimir Kostilev purchased a BELL 407 helicopter in 2004. A year later prosecutors investigating the smuggling of BELL choppers into Russia seized the vehicle as evidence in the case. Kostilev wanted to store the helicopter himself but was denied the right, even though he never was a suspect. In May 2006, the property was auctioned in accordance with regulations that allowed investigators to sell evidence that cannot be stored due to the size or the need for special conditions. Kostilev never saw any compensation. Wednesday’s decision ruled the practice unconstitutional, because it violated property rights. The Russian constitution demands that if someone’s property is confiscated an equal compensation must be paid. The court’s ruling was absolutely right, believes Igor Levedev, a member of the State Duma’s committee on constitutional legislation and state structures: “Many improper businessman made fortunes using such loopholes,” he said, according to RBC news agency.